Colorless, flavorless and odorless, vodka blends seamlessly with most other liquids without asserting itself or flattening out the flavor of the mixer. It's popular among cocktail drinkers for this reason, but there also are some surprising health benefits that come from vodka. Granted, it's no wheatgrass juice, but if you already drink vodka, it's nice to know some of the positive things it can do for your body, unless you are pregnant or have a medical or psychological condition that precludes alcohol use. As with anything, moderation is key. If you are unsure, consult your doctor before mixing yourself a drink. May people are familiar with the relaxation effect of alcoholic drinks, but making vodka your drink of choice might provide scientifically measurable benefit. A 1997 study in the "Journal of Psychopharmacology" found that vodka reduces stress more effectively than the alcohol-equivalent of red wine. A 2009 study in the "Journal of Abnormal Psychology" found that participants given a one-to-five mixture of 100-proof vodka and tonic showed a lower response to stressors monitored on brain scans, although they also showed a decreased attention span than participants given a placebo. Russian folklore is famous for using vodka as a cure for everything from a headache to the common cold to a hangover. None of these remedies has ever produced reliable effects, but vodka still is used in herbal medicine to make tinctures. Herbalists soak the leaves, stems and flowers of their choice in high-proof vodka, which draws out the volatile essential oils that contain the medicinal effects. Because vodka is odorless and flavorless, it allows the tincture to take on the flavor of the herbs. Tinctures can be taken orally or can be used topically as a mild anesthetic. If you're trying to lose weight or following a low-carb diet, vodka is a reasonable alcohol choice. According to the USDA Nutrient Data Laboratory, it contains only 64 calories per ounce and is totally free of carbohydrates; beer, on the other hand, is almost entirely carbohydrates and can have well over 100 calories per serving. The trick is to choose tonic as your mixer or drink the vodka neat or on the rocks. 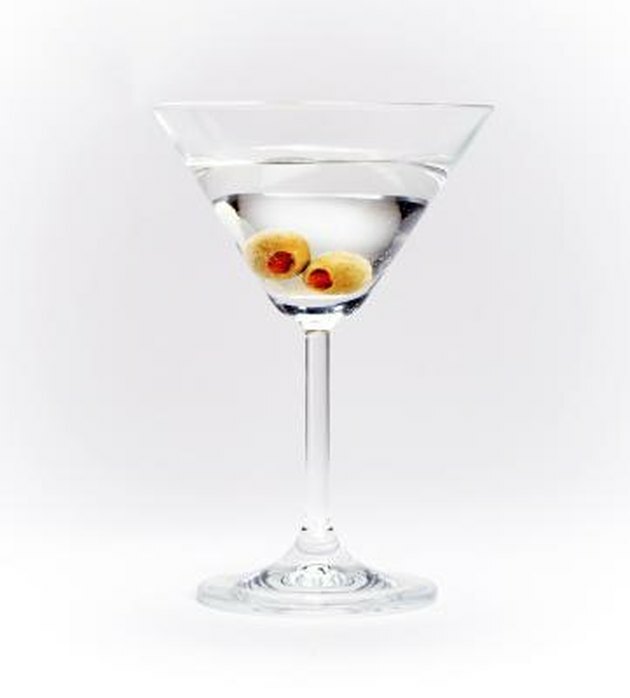 Vodka's versatility as a cocktail base means that many people tend to mix it with sugary juices or creamy liqueurs that can add hundreds of calories, negating the low-calorie benefit of the vodka itself. Moderate alcohol use has been associated with a number of general health benefits, which apply to vodka as well as wine and other spirits. Consuming one daily drink for women or two daily drinks for men has been linked to lower mortality, increased cardiovascular health, fewer acute hospitalizations, lower body weight and decreased risk of stroke, Alzheimer's, type 2 diabetes and enlarged prostate than those who don't drink alcohol. In fact, according to Dr. David Hanson at the State University of New York, abstainers who begin drinking moderately experience positive changes in their health. The key is moderation: heavy drinking still is associated with a number of negative health and social consequences, and exceeding two drinks per day can reverse any benefit you might have gotten previously. The Herbalist's Way: Nancy Phillips, et al. Which Alcoholic Beverages Are Lowest in Calories?